The designer takes us ballroom dancing for AW18. Doing it right, for AW18. Somerset House plays host to the initiative’s UK debut. House of V and HEAVEN PLEASE+ are amongst those tapped by the showcase for LFW. The brand’s latest offering makes good on bright colours. With London Collections: Men upon us and London Fashion Week around the corner in February, Wonderland let you in on some fiercely guarded industry secrets about how to prepare for the Autumn/Winter show season. 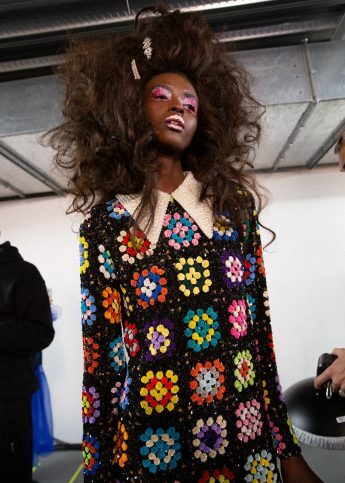 London’s calling card in the fashion industry has long been its role as a hub for fresh young talent, catapulting local names like Kane, Pilotto, Katrantzou and the like to global status. Seoul-born designer and London convert Eudon Choi seems next to head for the stratosphere. As London Fashion Week drew to a close yesterday, we set up camp at James Long’s show and gazed longingly at his cotton-clad collection for AW12. Take a look at the side-stage and audience shots we came back with.